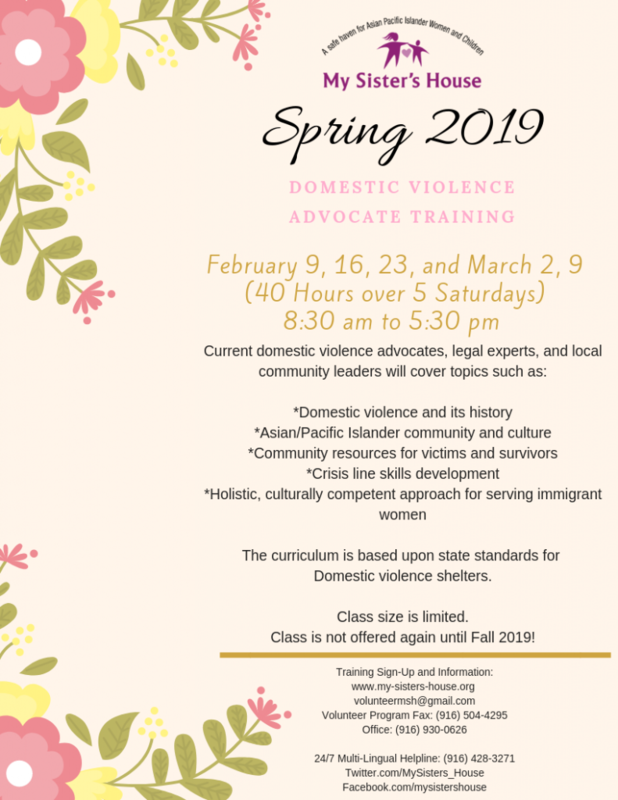 This is My Sister’s House 40 hour training for shelter advocates and crisis line volunteers that covers topics such as domestic violence and its history, Asian / Pacific Islander community and culture; and community resources for Asian / Pacific Islander domestic violence survivors in particular. Volunteers desiring to serve on a crisis line or to assist clients directly, and professionals dealing with Asian/Pacific Islander domestic violence survivors in particular are encouraged to sign-up. Attend one of our monthly volunteer orientations to find out how to register for this training.